John McTiernan's 1987 classic Predator has finally gotten the home video release that it deserves with the stunning 4K Ultra HD transfer, which came out this week. New images comparing the new edition to the previous Blu-ray edition show that there's no contest, and even a cursory viewing of the film proves this as well. Fans of Predator have been waiting years to get a proper HD release of the sci-fi action thriller, and the latest transfer is more than what anybody was expecting. The Blu-ray version of Predator was hyped up before its initial release, as fans thought they were going to get an excellent HD transfer of the movie. However, upon its release, the Blu-ray was slammed for using too much digital noise reduction, which made everything look flat and made the actors look fake and wax-like. The Blu-ray edition constantly finds itself in the top ten of worst Blu-rays to ever be released. Thankfully, the new 4K version of Predator takes away all of those terrible elements, including the awful video smoothing. Predator is a classic film, a pinnacle of 1980s action movies as well as throwing in some great horror and monster elements as well. While a lot of fans of the movie aren't old enough to have seen the film in theaters in 1987, the new 4K Ultra HD version of the movie gives those fans that experience. Right away, you can see the pores on the faces of the actors. Every bead of sweat is visible, while every smear of dirt looks incredibly realistic, and the Predator vision is unbelievable looking in the new transfer, looking smoother and vibrant. The grain from the aging 35mm film is present in all of its gritty glory, letting viewers know that Predator hit theaters over 30 years ago. The new 4K Ultra HD release has been hailed by critics as the definitive way to view the film. Some minor criticisms have popped up though. Some of the new HDR technology that has been applied does make the sky look brighter and more realistic, but there are times in a few of the jungle scenes where the sky looks a little glitchy through the trees, which is obviously a very small thing to be upset about. The 4K Ultra HD edition of Predator is currently available in stores by itself or in a combo pack with Predator 2 and 2010's Predators. 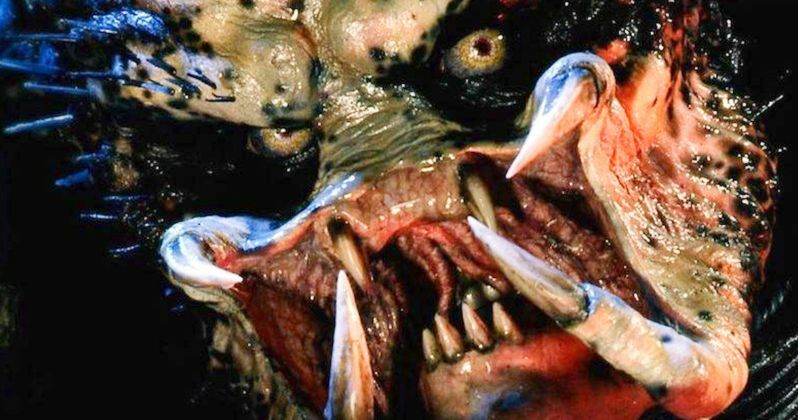 Shane Black's new Predator movie is currently preparing for release, after doing some last minute reshoots. Black, who starred in the original 1987 film, is trying his hand at making something that stands up to the original while making something new. So far, all of the trailers point at a pretty dark movie, which is totally welcome by fans of the franchise. While we wait for the new movie to hit theaters, you can compare the Blu-ray edition of Predator with the new 4K version below, thanks to the 4K Collective's Twitter account.